Pre-lighten your hair using the pre-lightening system. Mix the pre-lightening powder & developer together and apply according to the instructions on the leaflet. Keep an eye on the clock! 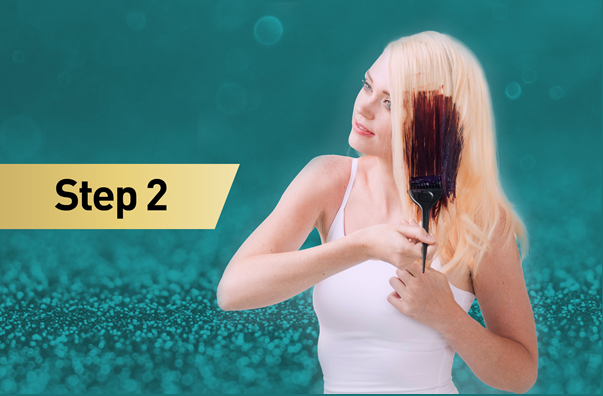 Rinse and dry to reveal your pre-lightened hair which should be an even medium blonde: ready for your gorgeous new hair colour. It’s time to apply your bold new shade! 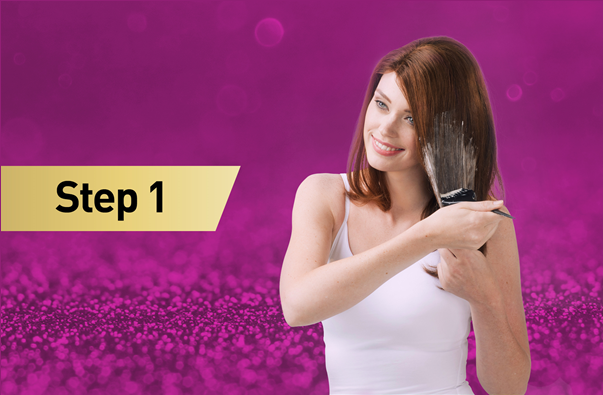 If you have chosen a semi perm colour, apply the colour crème evenly onto your hair. If you have selected a permanent colour, mix your colour crème with the developer and apply evenly. Allow the colour to develop as per the instruction leaflet. You’re almost there! Before you can reveal your fabulous colour, treat your locks with the special conditioning treatment. Apply the shine serum to dry hair to give your new style a glossy finish. Now, go show off your beautiful new look!